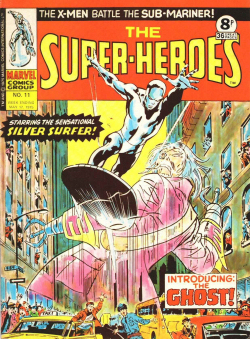 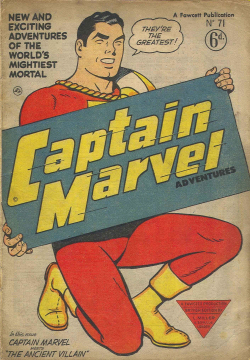 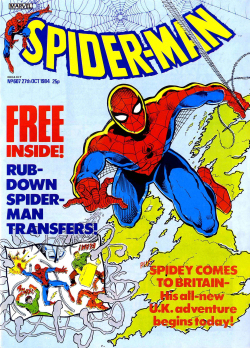 The Mighty World Of Marvel (commonly shortened to MWOM) was Marvel UK’s first-ever title, debuting in 1972, and is also the name of a similar current comic printed by Panini Comics, which bought the Marvel UK titles. 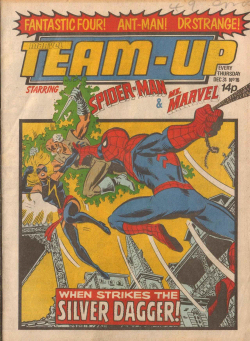 Spending much of the 1970s as Marvel UK’s flagship title, MWOM published black & white reprints of American Marvel four-colour material. 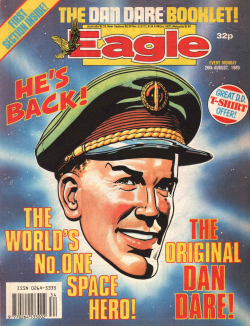 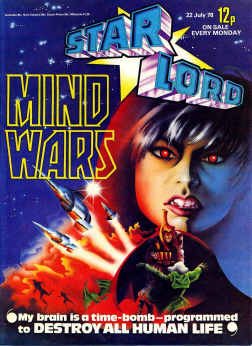 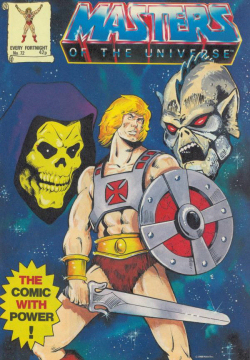 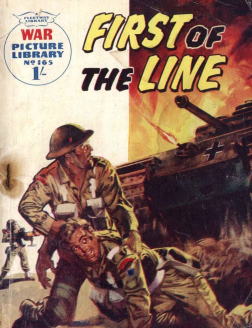 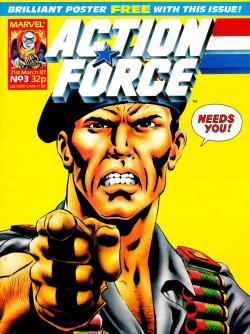 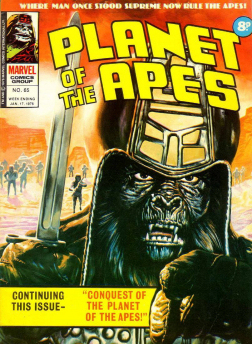 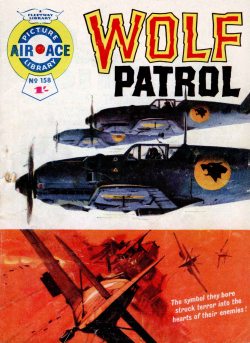 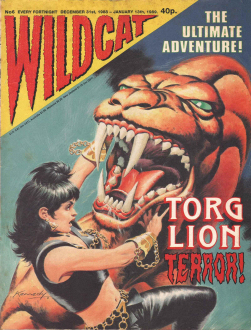 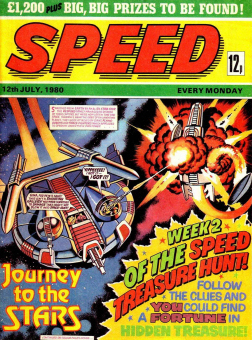 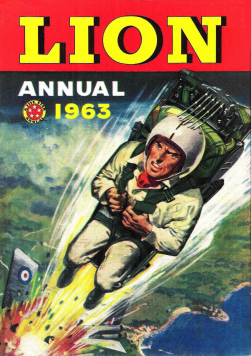 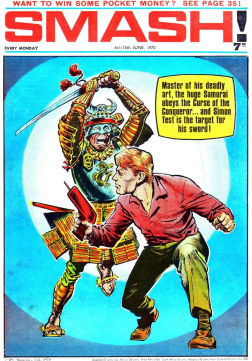 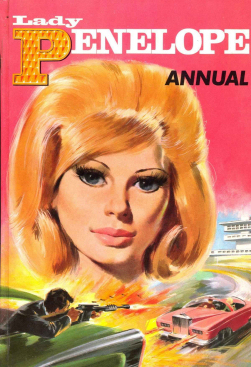 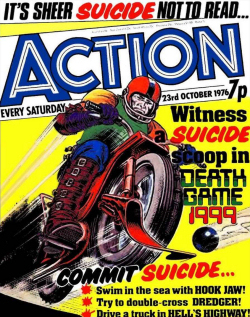 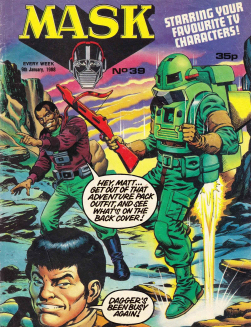 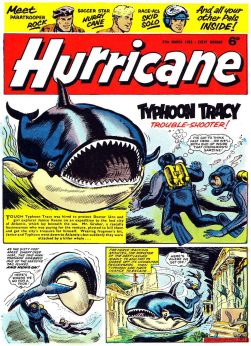 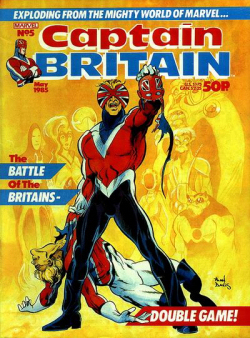 Thanks in large part to the success of MWOM, Marvel UK gained a foothold in the (at the time) vast UK weekly comic market, allowing the company to cross-market and later introduce non-superhero UK-reprint titles such as Planet of the Apes and Star Wars. 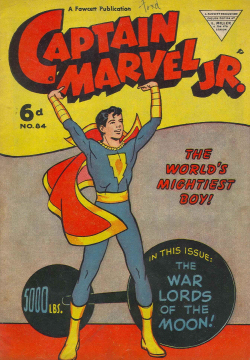 MWOM started out publishing reprints of 1960s stories featuring Marvel’s existing characters — including Spider-Man, The Hulk, and the Fantastic Four. 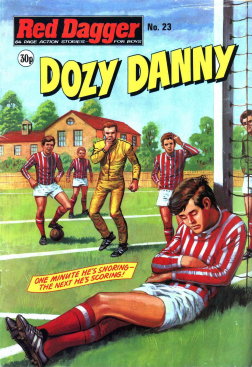 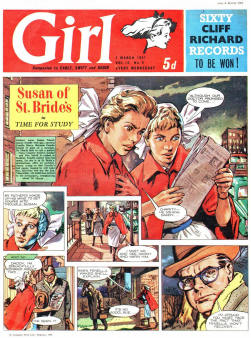 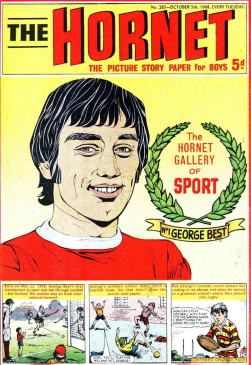 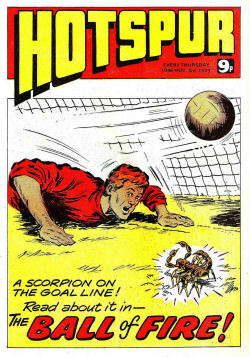 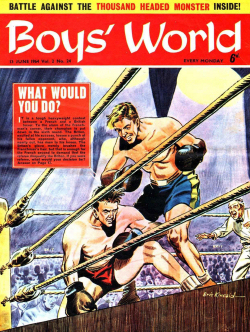 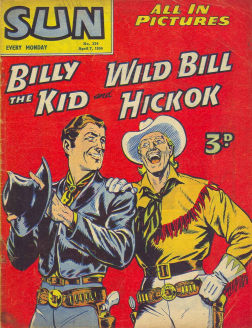 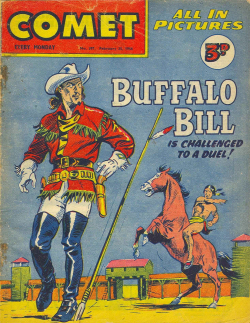 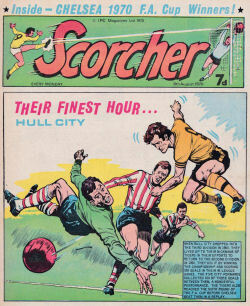 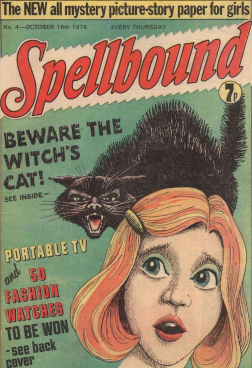 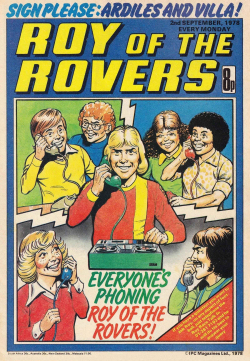 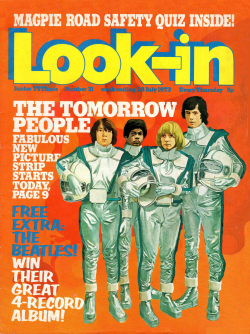 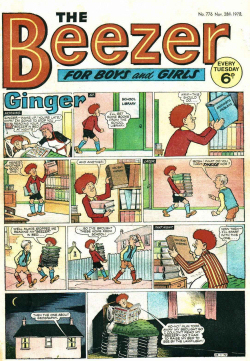 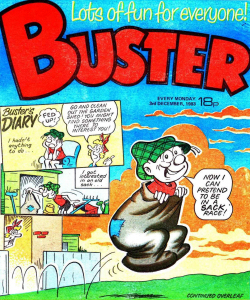 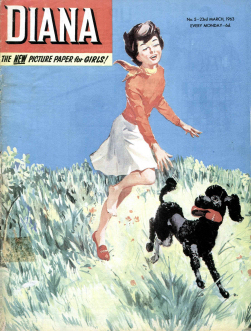 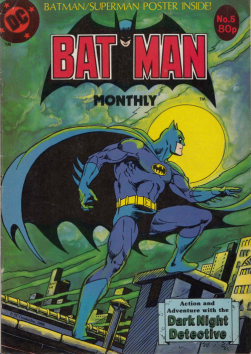 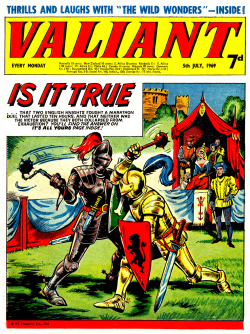 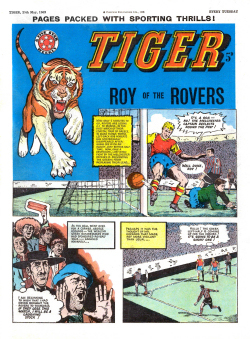 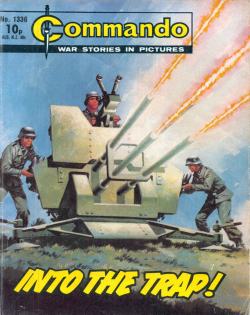 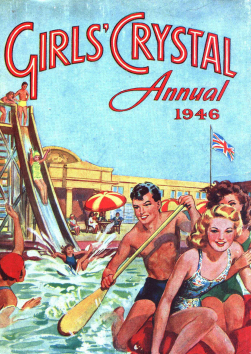 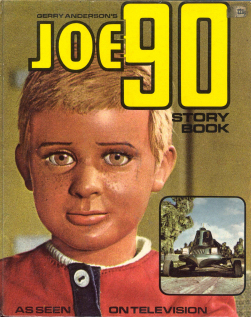 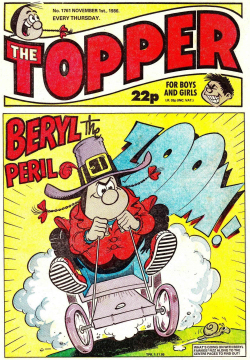 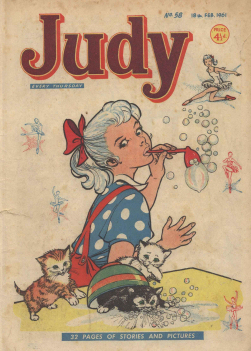 The monthly format of the American material was adapted to fit the British weekly format, with stories being split up over several weeks. 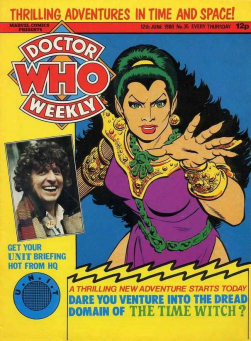 As was the custom with British weekly titles, the first issue of MWOM featured a free gift, in this case a Hulk iron-on T-shirt transfer. 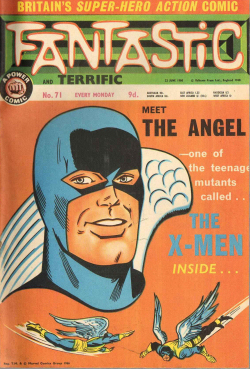 After Spider-Man left to star in his own publication, Spider-Man Comics Weekly, he was replaced by Daredevil in the third strip, who was himself replaced by the original X-Men and then the Avengers. 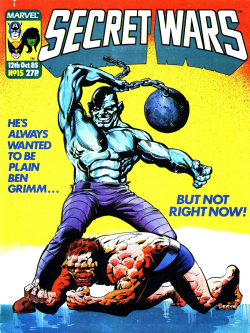 Eventually the title settled with the Hulk as cover star, backed up by Daredevil and the Fantastic Four. 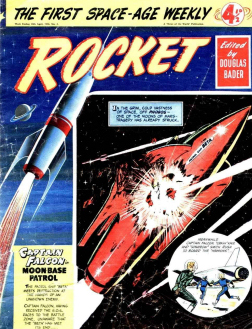 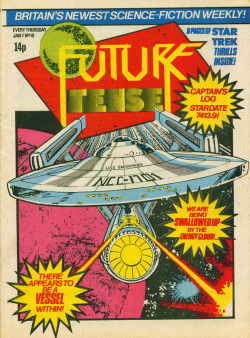 As MWOM passed its hundredth issue (August 31, 1974) a galaxy of different characters began to be featured in the publication (with the Hulk still holding the top spot), many of these coming via the merger of other titles into MWOM. 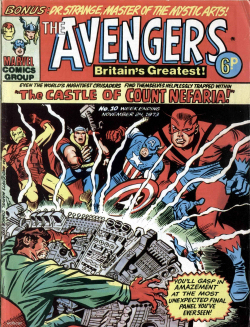 The Avengers returned to MWOM, bringing Conan the Barbarian with them in issue #199 (July 21, 1976) following the cancellation of their own magazine. 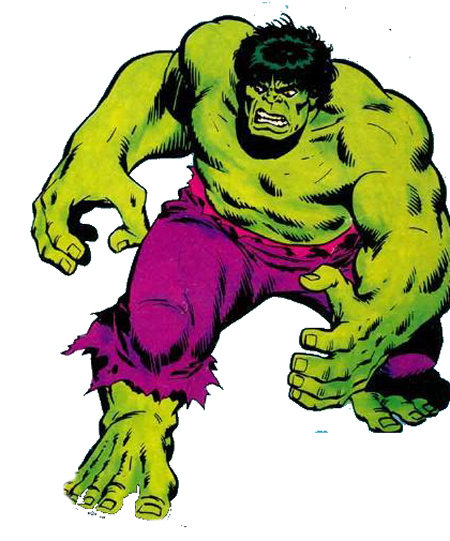 The Avengers had joint cover billing with the Hulk, and over time the green giant would share it with other characters. 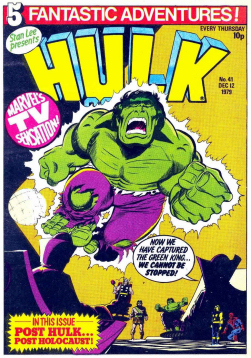 From issue #233 (March 1977), the Hulk co-starred with Planet of the Apes (after their own 1974–1977 weekly folded) and subsequently with Dracula and Nick Fury. 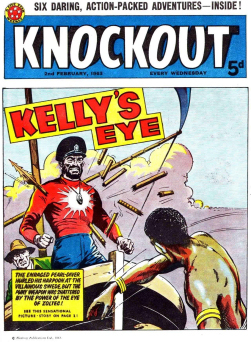 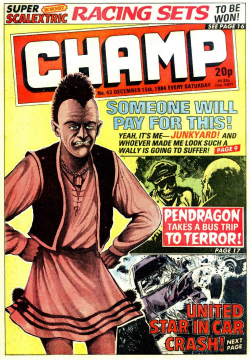 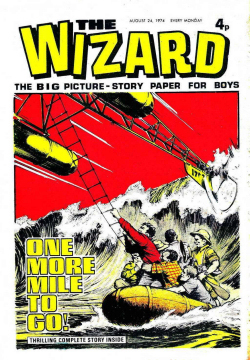 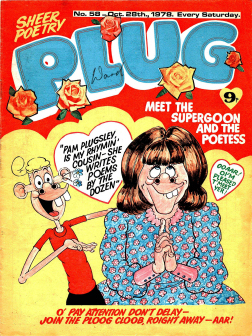 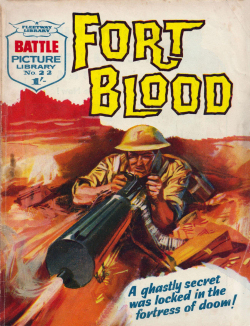 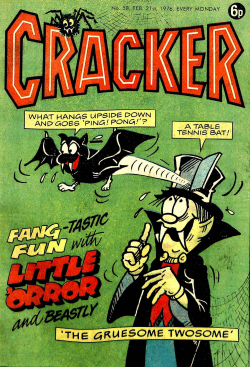 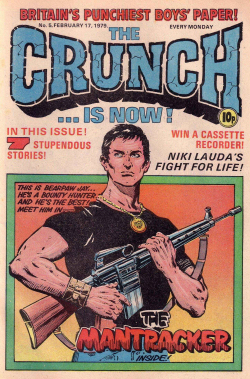 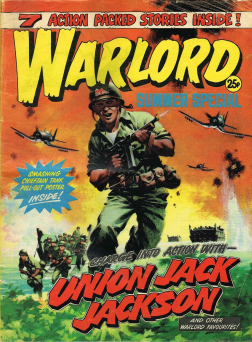 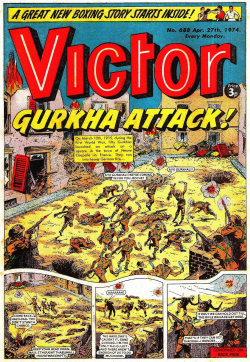 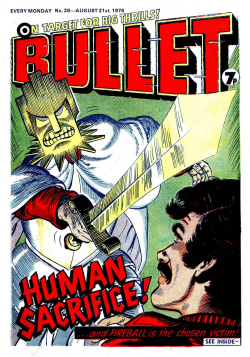 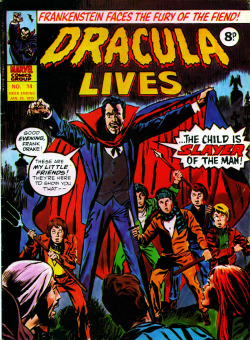 (The former was left over from the last merger, when the title then called Planet of the Apes and Dracula Lives merged into MWOM; while the latter was from Fury weekly, an unsuccessful March–August 1977 attempt to follow the popularity of boys’ war comics in the UK.) 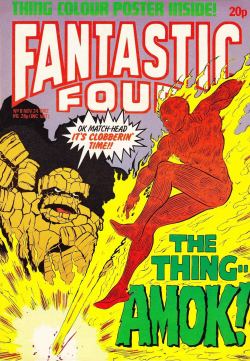 The final strip to share the masthead with the Hulk was the Fantastic Four, who returned to MWOM after starring in their own magazine, The Complete Fantastic Four. 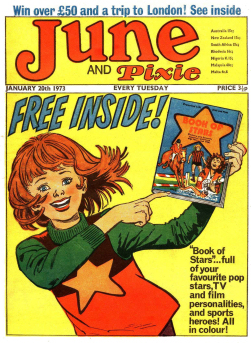 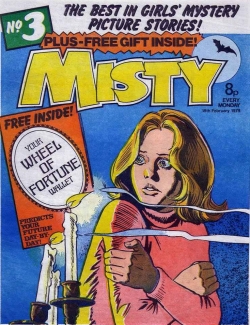 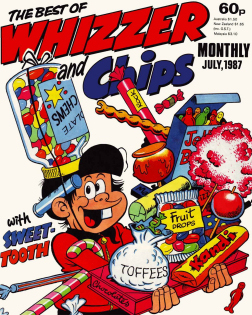 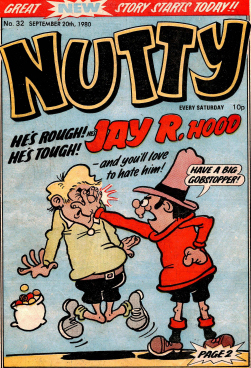 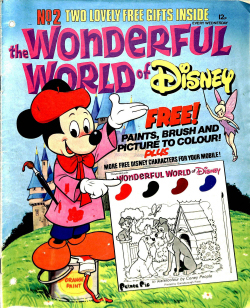 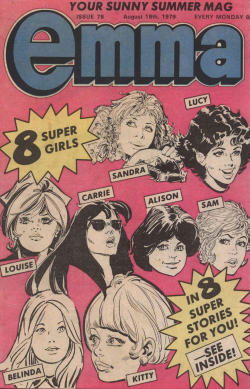 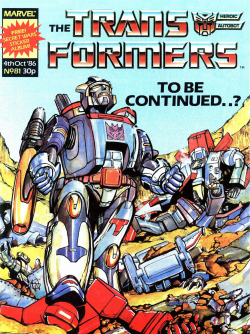 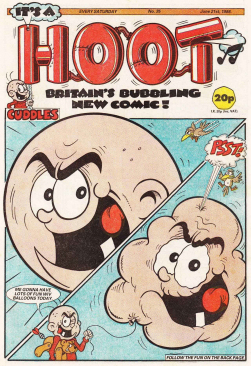 Actually, there was a free gift in the first three issues of MWOM, as was the custom of British comics of the time. 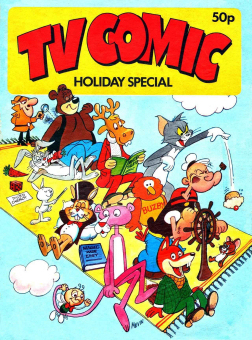 Thank for the links, that will make a nice addition. 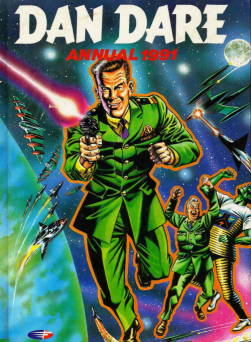 Thanks, that is a nice batch for the 1st update in the new year.